Its model number and name are #043 / Baron Mordo. 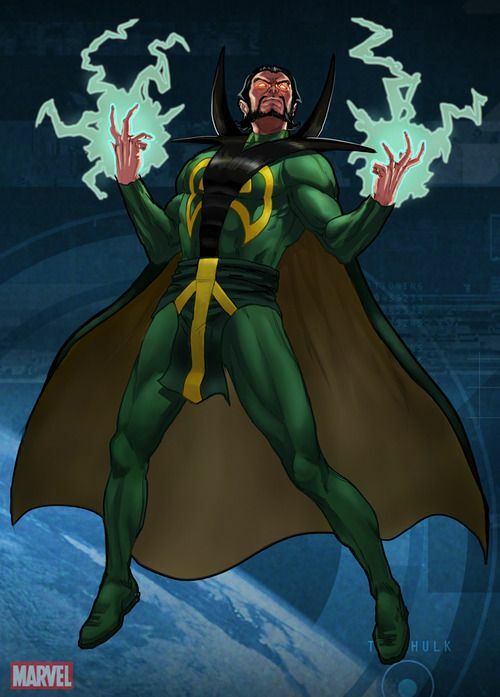 Character Bio - A power-hungry former student of the Ancient One, Baron Mordo defied his teacher's orders not to seek the Dread Dormammu, later sacrificing both his mother and grandfather to the Hell Lord. The Ancient One, knowing of this, decided to train a sorcerer powerful enough to challenge Mordo - the person in question happening to be Stephen Strange. Mordo was immediately resentful of Strange when the latter began his training at Kamar-Taj, and once magically gagged him when he walked in on one of Mordo's plots - the plot failed, nonetheless, Strange became the Ancient One's disciple, and Baron Mordo left. 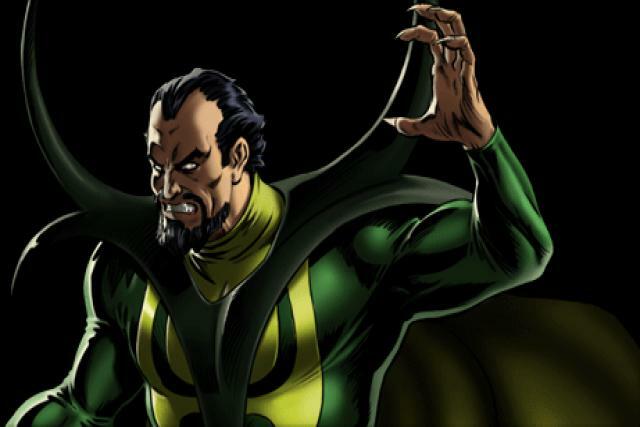 Since then, Mordo has been a perennial thorn in Doctor Strange's side, as well as a regular servant of a number of demonic overlords, including Mephisto and, most commonly, the Dread Dormammu. Mordo is an extremely accomplished sorcerer, his talents including a mastery of the arts of hypnotism and mesmerism, as well as the ability (and, more to the point, the willingness) to bend dark energies to his will, though doing so may often backfire. It is these talents that have made him a match for Doctor Strange time and again. When using Dark Arts Empowerment, Baron Mordo may add 1 to his Attack number for each Order Marker on the card of a Hell Lord you control. Current Hell Lords. As a Manipulative figure, when Baron Mordo attacks Jewel, she rolls one fewer defense die, due to her Psychological Vulnerability special power. 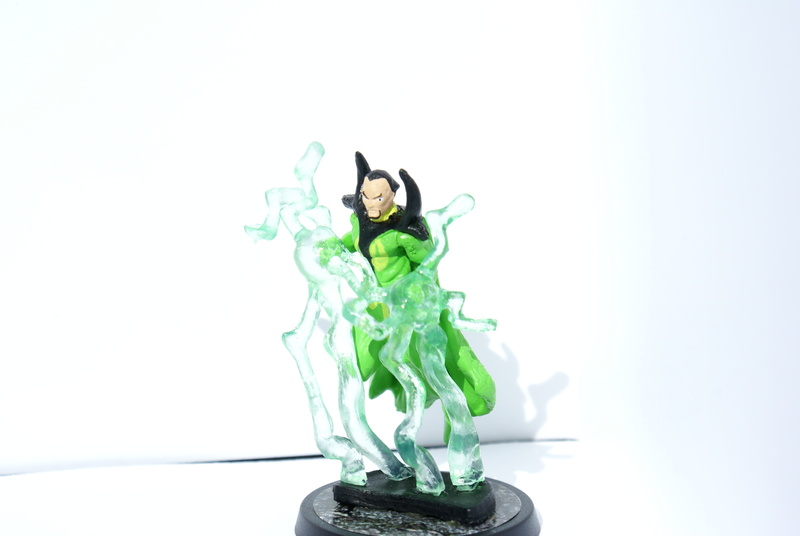 As a figure with the Magical Defense special power, Baron Mordo may inflict more than one wound in a single attack when attacking a figure with the Magical Defense special power. Current figures with the Magical Defense special power. 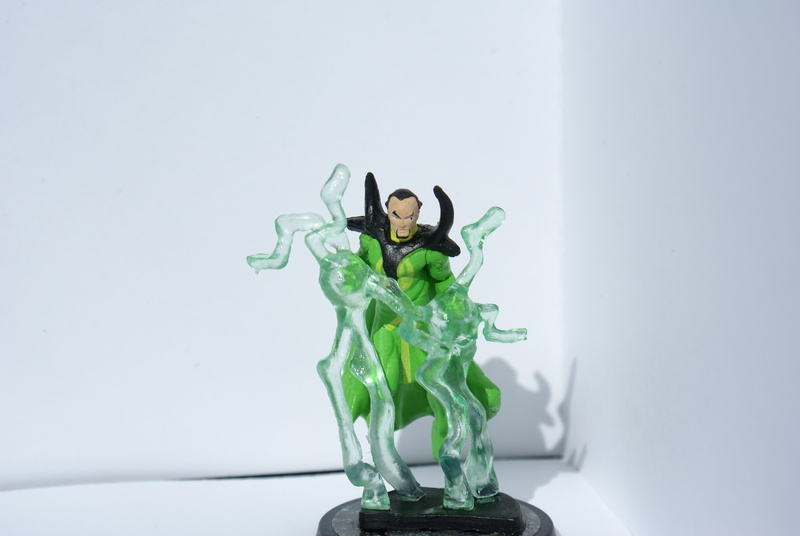 As a figure with the Magical Defense special power, Baron Mordo interacts differently with certain special powers. Current Special Powers other than Magical Defense that Interact Differently with the Magical Defense special power. 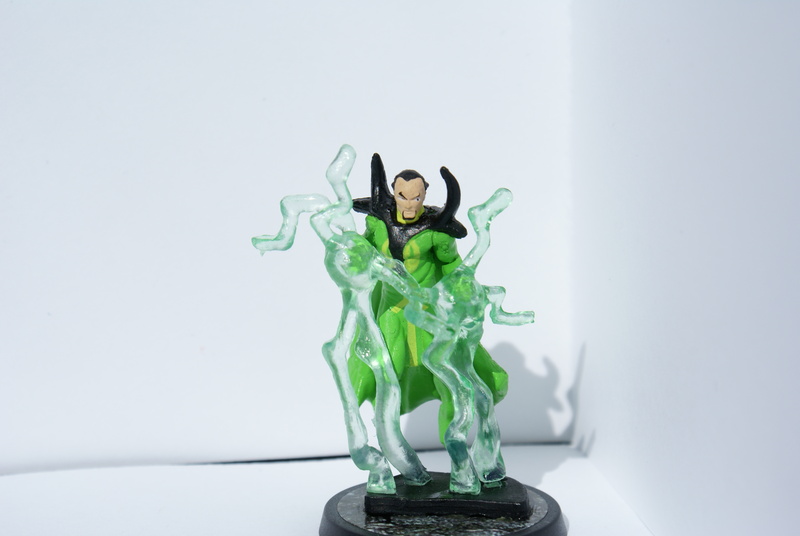 Figures with the Magical Defense special power may inflict more than one wound on Baron Mordo in a single attack. Current figures with the Magical Defense special power. Last edited by Ronin; October 30th, 2017 at 09:29 PM. When Baron Mordo defends against a normal attack from a Unique Hero within 3 clear sight spaces, if there are any excess shields, the attacking Hero has the Hypnotized personality instead of what is listed on its Army Card for the remainder of the round. After revealing an Order Marker on this card and before taking a turn with Baron Mordo, you may choose a Unique Hero with the Hypnotized personality. Take temporary control of the chosen Hero and immediately take a turn with that Hero. At the end of that turn, control of that Hero returns to the player who controlled the Hero before the Hypnotic Control. All Order Markers that were on that Hero's card will stay on the card, and you may not take any additional turns with other figures you control. When attacking with Baron Mordo, you may add 1 to his Attack number for each unrevealed Order Marker on this card and the cards of Hell Lords you control. If you do, at the end of Baron Mordo's turn, roll an unblockable attack die against Baron Mordo. When Baron Mordo is attacked by an opponent's figure that does not have the Magical Defense special power, the most wounds Baron Mordo can take for this attack is one. 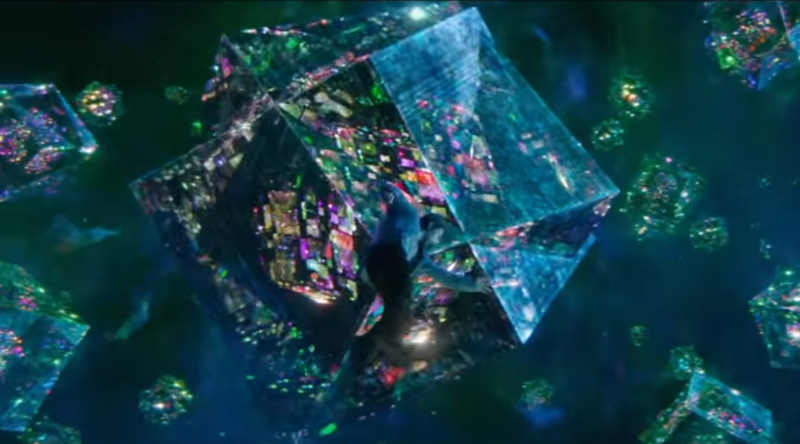 Instead of attacking, you may choose a Unique Hero within 3 clear sight spaces of Baron Mordo and roll the 20 sided die. If you roll 13 or higher, take control of the chosen figure and that figure's Army Card, remove any Order Markers on that Army Card and that figure has the personality Hypnotised for the remainder of the round. 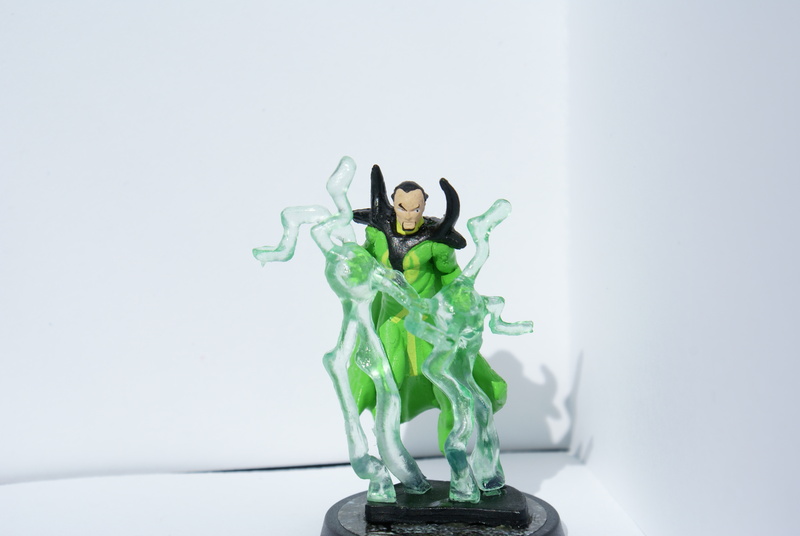 After revealing an Order Marker on this card and taking a turn with Baron Mordo, you may take an immediate turn with any figure you control with the Hypnotised personality, and may not take additional turns with other figures you control. At the end of the round, return control of the figure and that figure's Army Card to the player who controlled the figure before it became Hypnotised. If there is at least one Order Marker on either this card or the Army Card of a Hell Lord you control, no special powers on this card may be negated and before attacking with Baron Mordo, you may add 2 to his Attack number this turn. If you do, at the end of your turn, you must roll an unblockable attack die against Baron Mordo. Last edited by Lazy Orang; May 26th, 2017 at 08:40 PM. Immediately before an opponent's figure within 3 clear sight spaces of this figure rolls attack dice for a normal attack against this figure, you may cast this spell to subtract 3 dice from that figure's attack for the remainder of the turn. Instead of attacking with this figure, you may cast this spell to choose a Unique Hero within 3 clear sight spaces of this figure. If you do, remove 1 Order Marker at random from that figure's Army Card and that figure has the personality of Hypnotized for the remainder of the round. Whenever an opponent’s figure within 3 spaces of this figure would target this figure for an attack, you may cast this spell and the attacking figure's turn immediately ends. After using this spell, if this figure has the Hypnotic Arts special power, you may immediately roll for that special power against the attacking figure. Last edited by Lazy Orang; May 12th, 2017 at 06:15 PM. 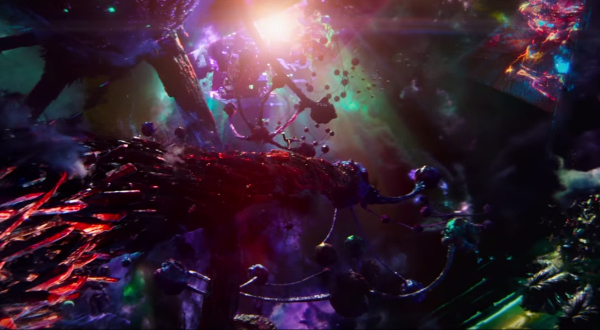 Basically, I'm thinking something trippy from the Doctor Strange film. Dark Arts Empowerment used to boost attack once. Hypnotic Arts used: Once to no effect, once to take control of Doctor Strange. Mesmerise used to ignore an attack from Doctor Strange and successfully Hypnotise him. Mordo claims the initiative, and Deathstroke runs forwards. Cap and Bucky run forwards. Deathstroke charges Bucky, striking him from height and running him through for three wounds, leaving him bleeding on the ground. Wong runs forwards Strange flies up, shooting Deathstroke for two wounds. Deathstroke moves to level 3 height before striking Bucky again, but his blow is blocked. Deathstroke heals a wound. Wong runs up to Strange, who shoots Deathstroke for a wound. 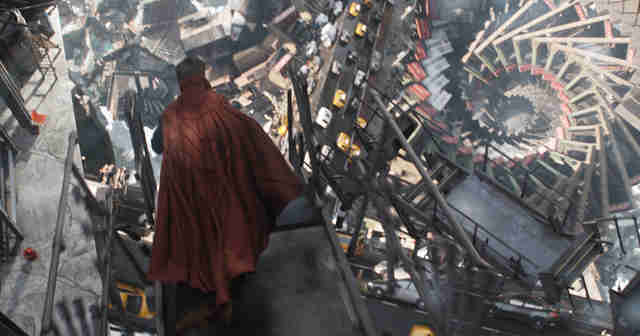 Mordo claims the initiative, flies up and fails to Hypnotise Doctor Strange. Zombie shambles forwards. Zombie continues shambling. Cap charges Deathstroke, striking him for a wound, while Bucky fails to harm the mercenary. Mordo flies up into melee combat with Strange. He uses Dark Arts Empowerment to attack Strange with 6, inflicting a wound, but taking one himself from channeling forces he could not control. Zombie runs up and sinks his teeth into Wong’s shoulder, inflicting two wounds. Strange attempts to strike Mordo, but Mordo casts Mesmerise to stop his adversary - a good job, too, as Strange would have rolled 6 skulls to two shields, enough to take Mordo out. Not only is Strange mesmerised enough to halt his attacks, though, but he is also Hypnotised to Mordo’s will, eliminating the Avengers’ last turn. Mordo shoots Wong from height with an attack of 5, rolling two skulls to no shields, killing him. He forces Doctor Strange up and into melee combat with Cap and Bucky, where he kills the scout. Doctor Strange shakes off his Hypnotism. The Avengers claim the initiative, Zombie shambles and Cap strikes Deathstroke for a wound. Deathstroke retaliates with a devastating blow, inflicting two wounds on Cap, before healing a wound. Zombie shambles up to Strange and Cap. Strange flies into melee combat with Mordo, taking a swipe from Zombie on the way out, before striking his nemesis for two wounds, causing him to drop the Amulet of Damballah. Mordo tries and fails to Hypnotise Strange. Strange strikes Mordo for a wound. Mordo channels the Dark Arts to retaliate, striking Strange for a wound before dying to forces beyond his control. Deathstroke claims the initiative, striking Cap for two wounds, leaving him bloodied and staggering, before healing one. Cap punches Deathstroke for two wounds. Deathstroke separates the Captain’s head from his body, before healing a wound. Steven Strange picks up the Amulet of Damballah. Deathstroke charges Steven from low ground, inflicting a wound and causing him to drop the Amulet before healing. Strange risks a leaving engagement to pick up the amulet, and pays for it. He shoots Deathstroke for a wound before commanding Zombie to attack his foe. This Zombie does, but he fails to harm him. The Avengers claim the initiative, and Strange claims height, shooting Deathstroke dead, and eliminating the remainder of his enemy’s round. He takes control of Zombie to claim victory. Avengers victorious, Doctor Strange 5 wounds, Zombie unwounded. Overview: He was fun - I didn’t seem to be getting brilliant luck with, aside from that Hypnotise roll triggering off Mesmerise, and I was quite unlucky taking a wound from Dark Arts Empowerment both times I used it, plus I'm not sure I was playing him brilliantly, but I had a lot of fun with his power-set. Hypnotic Arts was a fun twist on mind control, Mesmerise is a cool defensive spell with a nice interaction, and Dark Arts Empowerment is a nice, though risky, attack boost - while it's very different in a lot of ways, using it reminded me a lot of using Stinger Drain. I will apologise, though - I played this game a while ago, and I believe I made a mistake. I believe victory conditions are calculated at the end of a turn, so Strange using the Amulet to take control of Zombie shouldn't have ended the game. I really am sorry about that. Really wish we didn't need the "no negation" clause, but there doesn't seem to be a lot of interest in fixing Strange, so I guess we're stuck with it. It's a shame, because I think being able to move away from that would leave a little room to get the Mesmerize/Hypnotic Arts interaction working a little more fluidly. I've already weighed in on this one plenty, though, and I think it's in a pretty good place. I'd push harder for the strange fix, personally. We need to bypass the reeveal process if it makes sense to, IMO. As much as I have problems with Sorcerer Supreme, I fear you may have problems here - you'd be changing how he works pretty fundamentally. How would you go about changing it? To my knowledge he was never play tested with Sorcerer Supreme. At least, not in the sense that he was tested against other MD users. So that makes it easier, if that's the case. Then it just comes down to an in depth discussion between those of us who have used him extensively, and especially the CRB, to cover us from a competitive standpoint, and just tweak it to not be so devastating. Strange has a lot going for him for his point value, so I can't see that aspect being needed a bit as something that would make him not a good unit. Perhaps 2-3 playtests with the proposed changes, from those of us that can put a quick turn around, and we're golden. If you set out to do it, there's really no reason we can't have it hashed out completely within 2 weeks. But only if you get Hero support - also, how do you propose maintaining the basic idea of Sorcerer Supreme without making it so deadly? Unless you have a plan, things could be problematic. Should I put this guy on hold? I doubt it, at least for a while - like with Daimon, I imagine we'll want to get the spell hashed out separately first, and that doesn't broach any questions with Strange. ~Lazy Orang, noting that you can probably pull out things like the 'Speedster vs. Speedster' argument from Professor Zoom's book that resulted in a change to Speed Dodge - of course, this is a tad more complicated than that. The desire to rework Sorcerer Supreme is already there. It just needs someone to spear head it and really push it along to make it happen. The discussion on that page shows we're all in agreement that Sorcerer Supreme has issues, and now with Mordo, it seems like the best time to make sure we get that sorted rather than further cementing Sorcerer Supreme in its current state. It needs an active passionate member to push it through, and I feel between you, Ronin, myself, and TrollBrute, we all have the quick turn around on testing if we can decide on a proposed fix for it. Not to clog up this thread anymore but I'm also open to Dr. Strange adjustments. I'm just clearly not in shape to be spearheading anything right now. I still have designs of my own waiting on me to run initials.